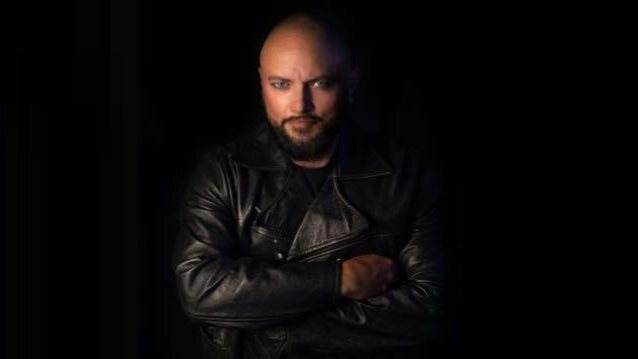 Former QUEENSRŸCHE and current OPERATION: MINDCRIME vocalist Geoff Tate was recently interviewed by Honolulu, Hawaii radio host Dave Lawrence of Hawaii Public Radio's "All Things Considered". You can now listen to the chat below. Speaking about the impact legendary heavy metal singer Ronnie James Dio (BLACK SABBATH, DIO, HEAVEN & HELL) had on QUEENSRŸCHE in the band's early years, Tate said: "Ronnie was very, I would say, inspirational and instrumental in my career. He was the first major act to invite us on a tour of Europe. And we spent two [or] two and a half months touring Europe with him. [We played] so many shows [together]. And he was really a great mentor — friendly." He continued: "He invited us, first day when we got on the tour, to his dressing room, to introduce us to the band. And he introduced us to everybody, we got on a first-name basis with everyone in the band. Then he invited the entire crew in. We got to know everybody by a first-name basis with his crew. He gave us the stage, all the lights we wanted, the full sound with no restrictions. We could go anywhere we wanted. He even gave us dinner. The first time I'd ever eaten Indian food was with Ronnie Dio. And I thought to myself, 'What a gentleman. So this is how touring is. These headliners, they invite you in, and they treat you well.' Well, that never happened again [laughs] with anybody I ever toured with. [Laughs]"
Tate added: "He was just such a unique, giving, responsible, friendly, good person." Geoff also recalled the last time he saw Ronnie, which happened in June 2006 when QUEENSRŸCHE and DIO shared stage at the Arrow Rock Festival in Lichtenvoorde, The Netherlands. "I remember Roger Waters was playing; he was headlining the festival," Geoff said. "And Ronnie popped into my dressing room with two bottles of Italian wine in his hands. He goes, 'Hey, you're a PINK FLOYD fan, right?' I go, 'Yeah.' He goes, 'Let's go watch the show.' So we went way up in the grass, behind all the audience, and sat up there and drank that wine and listened to Roger Waters play 'Dark Side Of The Moon'. It was incredible. [We were] just two fans drunk on Italian wine, having a good time. [Laughs]"
"Resurrection", the second album from OPERATION: MINDCRIME, was released on September 23 via Frontiers Music Srl. The album is the second part of Tate's musical trilogy.